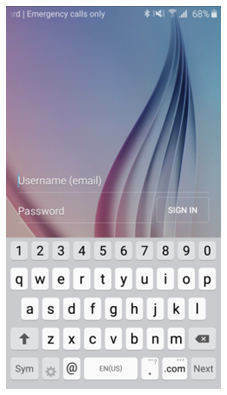 A numerical pin or a pattern seems too old to act as a password for your Android handset. With new emerging technology, fingerprint scanner is the mainstream that comes with almost every Android handset now to protect your handset. Today we will list some fingerprint app lock that will use the in-built app scanner of your handset. Let us begin. Here are some fingerprint keypad lock screen apps that will help you select the best app lock fingerprint. App Locker: Fingerprint & Pin. is the best fingerprint app lock and hence is the reason as to why it stands the first in our list. With the size of less than 5 MB, the app can be used to lock all basic apps that run on your phone such as calls and messages. In addition to this, the app can be used to lock 3rd-party messaging apps. Moreover, it can be used to lock settings such as Bluetooth and Wi-Fi. The app runs on devices operating on Android 4 and higher and is free to use. Next in the list is KeepSafe Applock Fingerprint Password. The fingerprint app is similar to the one mentioned above when it comes to basic features. In addition to this, users can tailor the app to be unlocked with the help of pin or pattern. Moreover, the app supports multiple languages and requires Android 4.0 or more to run. The size of the app differs with every device. The paid version of the app cost has a price tag of Rs 70. AppLock – Fingerprint Unlock comes the next in our list of fingerprint scanner app. The app runs on devices operating on Android 4.0 and more. In addition to this, the app has a size of not less than 4 MB, which makes it pretty easy to download. The app protects different app with fingerprint along with passwords and pins. The paid version of the app ranges from Rs 58 to Rs 290. Continuing out list, FingerSecurity is the next fingerprint scanner lock that we will recommend you to use. In addition to locking all the apps, the tool can also lock widgets and settings. Moreover, the device can capture pics of the intruder allowing you to know if someone was trying to access your device. The app needs Android 4.3 and above OS running devices. It has a size of 18 MB, which makes it big app as compared to other apps. CM Fingerprint Applocker is a reliable Android fingerprint scanner that you can trust. The app can be used to lock your social media apps along with calls and messaging app. The app is very easy to use and offers easy steps to change the fingerprint lock setting. The size of the app varies with different devices does the requirement for OS. Next in our list is App Lock – Real Fingerprint Protection. The app locks each and every basic app along with 3rd-party messaging apps such as WhatsApp and Messenger. In addition to this, the app also offers passwords, pins, and patterns as an alternative to fingerprint for protection. The app needs devices running on Android 4.0 and above in order to work. In addition to above mentioned features, the app also provides lock for settings, browsers, gallery, and so on. It can also snap pics if someone is trying to intrude with the device. AppLock by DoMobile Lab is also one more app locker that uses fingerprint. The app is preferred by over 100 million users all over the globe. The app also offers locking mechanism with the help of passwords and pins, similar to some of the above mentioned apps. Moreover, the app offers different themes that can make your experience memorable while locking and unlocking your device, thus playing a role of launcher with fingerprint app lock. The app needs devices running on Android 4.0 and above in order to work. Being a complete security app that can assist you protect your notifications, apps, photos, and so on, LOCKit also comes with a video and photo vault to safeguard your media data. You can also fool people with a false crash screen and snap their pics too. In addition to this, the app can also block incoming call with the lock with support for customization of the notification bar. In short, using this app gives you a different experience. 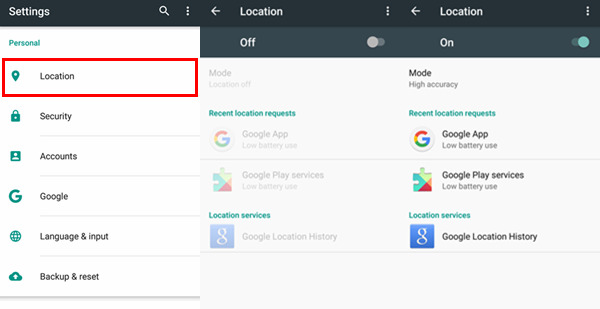 The app needs devices running on Android 2.2 and above in order to work. 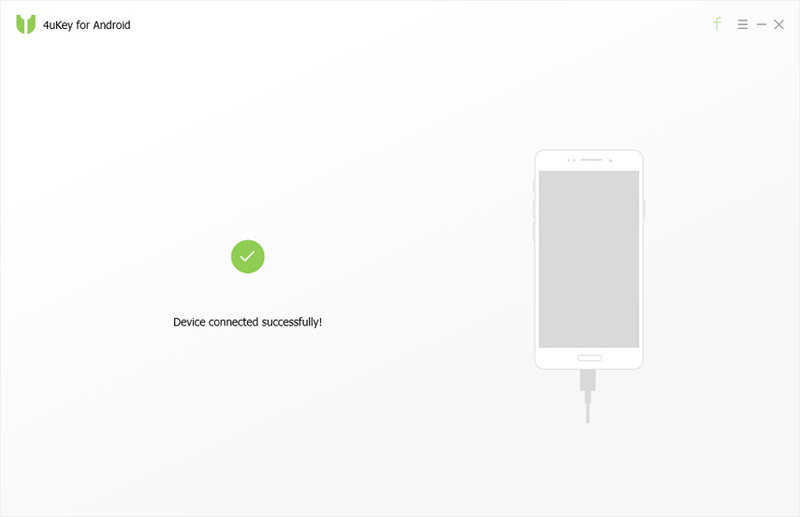 App Lock Pro: Fingerprint comes next in our list of fingerprint app lock. The app provides same features as mentioned in above apps. In addition to this, it can show fake screen to fool intruders. The drawback is that the app contains ads. The app needs devices running on Android 4.0 and above in order to work. Last, but not the least, in our list is Fingerprint Locker. The app is very fast when it comes to processing speed and is less in size. Moreover, the app is free to use without any ads. The app needs devices running on Android 4.0 and above in order to work. Even though the app works on fingerprint scanning mechanism, there might be glitches sometimes and might not allow you to unlock the apps. At such time, Tenorshare 4uKey - Android Fingerprint Unlocker comes to the rescue. The tool has the ability to bypass password of any type whether it be pins, passwords, or fingerprint. Now that you are well aware of the best fingerprint lock apps download for Android, we leave it to your fine judgment as to which app you need to choose as per your needs.